One can wear a heart on a sleeve – why not wear your hobby on your shirt. T-shirts are popular places for promoting particular products. Shirts could also be a host advertising an interest or hobby. Check out these architectural T’s I found searching around the Internet. 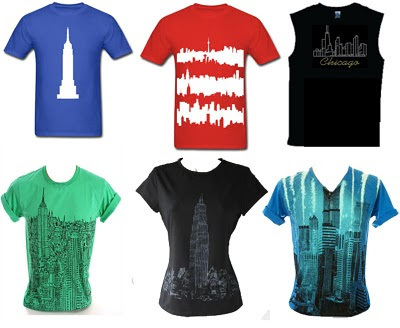 Themes run from skyscrapers, cityscapes and even bejeweled skylines for ladies. Architectural students can show how hard they work with: ‘Eat, Sleep, Architect’ shirt. Another I saw, had the slogan, “Architects do it with models.” I wrote in the past about architectural clothing. I may sport some of these during the SBCS convention this year.